You are here:Home » The Welfare State in the Information Age: Hollowing out or Restructuring in the Changing Labour Market in Singapore? Hsieh, Y. P., & Tseng, S.-F. (2002). The Welfare State in the ‘Information Age’: Hollowing out or Restructuring in the Changing Labour Market in Singapore? 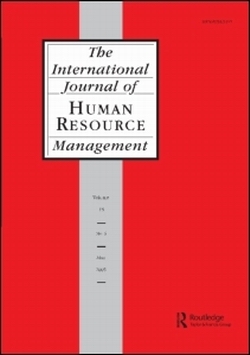 International Journal of Human Resource Management, 13(3), 501-521. With the rapid development of information technology (IT) in the late twentieth century, a “real-time” global economy is now taking shape. The social costs of being networked in the global economy vary across nations and regions. Some report job losses and fragmented working conditions, and in general social structure is endangered. The idea of maintaining a nation”s social safety net and the traditional concept of the welfare state is now challenged. In this article, we deal with three issues. First, we point out that new social risks are formed by the structural change in the labour market. Second, the interaction of the nation-state and global economy is addressed; in facing new social risks, we argue, the role of nation-state is still important. However, the traditional paradigm of the welfare state needs to be re-conceptualized. Third, with the expanding view of the welfare state, this paper examines the developments of constructive welfare policies and discusses the social transformation processes in Singapore, especially in the face of the new social risks caused by globalization.